Take-n-Play James is a durable die cast engine that features “Smart Magnets” that connect either way and allow you to connect other engines or tender at either the front or the back…. 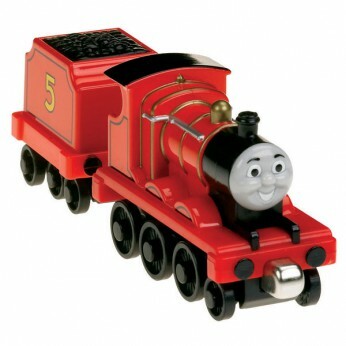 This toy costs approximately £7.49 (for the latest and best prices make sure you check our retailer list for the Thomas Take-n-Play James Engine above). In our review of Thomas Take-n-Play James Engine we classed it as being suitable for ages 3 years, 4 years, 5 years but recommend you check the manufacturer specific advice before purchasing.